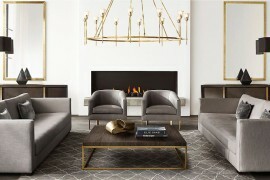 We begin with brass furnishings that are undeniably modern. 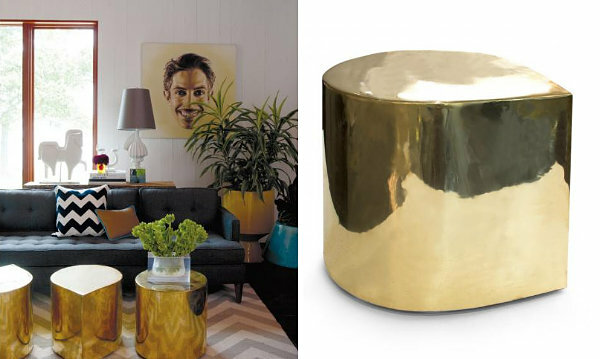 Yet some can’t help but have a vintage look, like the Brass Teardrop Table from Jonathan Adler, shown below. 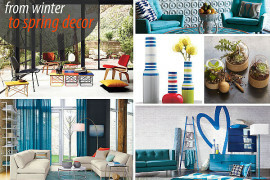 Purchase one of these items as a bold accent, or buy a few and combine them to create one large statement. 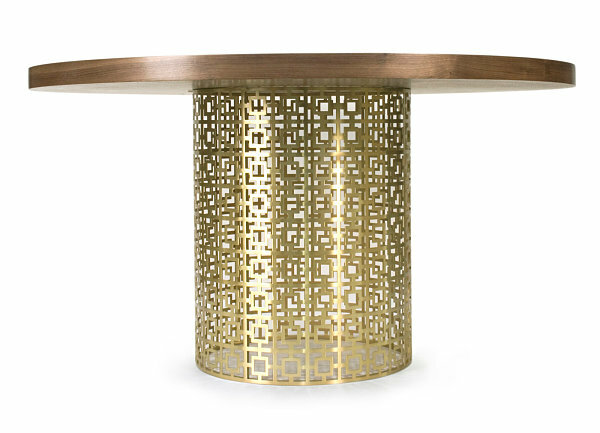 For a dash of brass on the side, check out the Martini Side Table from West Elm, crafted of recyclable aluminum in antique brass. 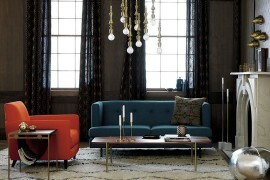 This piece is hollow, making it easy to lift if need be. 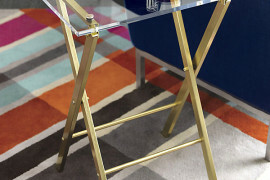 And given that it can likely double as a stool, you just might need to shift it around for additional seating when entertaining. 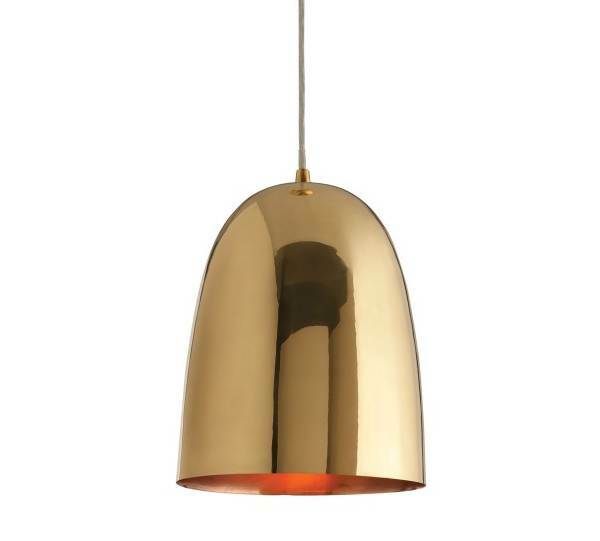 Brass lighting can look retro and contemporary at the same time. 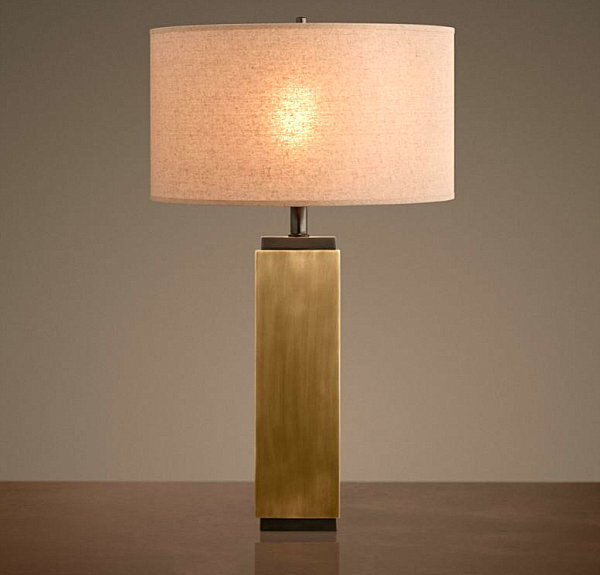 The warmth of this metal makes it well-suited for pieces that illuminate. 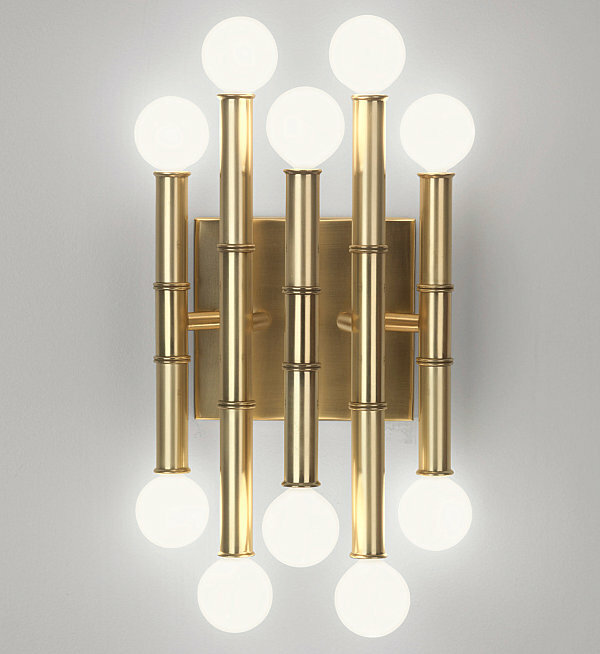 In the next image, we see the Meurice 5-Arm Wall Sconce from Jonathan Adler. 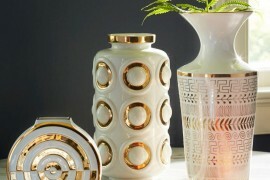 This antique brass item is crafted in a modern bamboo style that can veer into tropical territory. 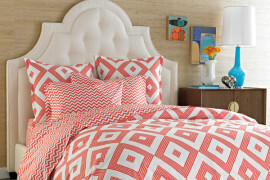 Very sleek tropical territory, of course. 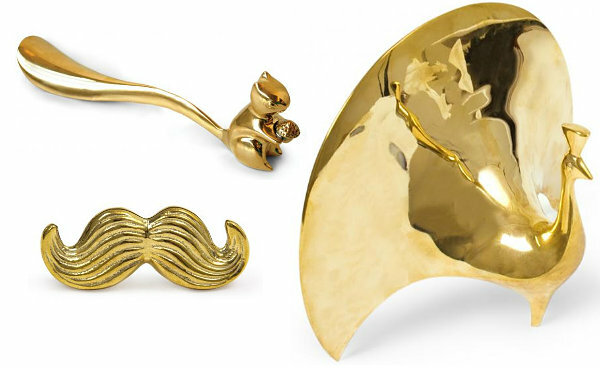 We now move on to brass accessories that can pack a powerful punch. 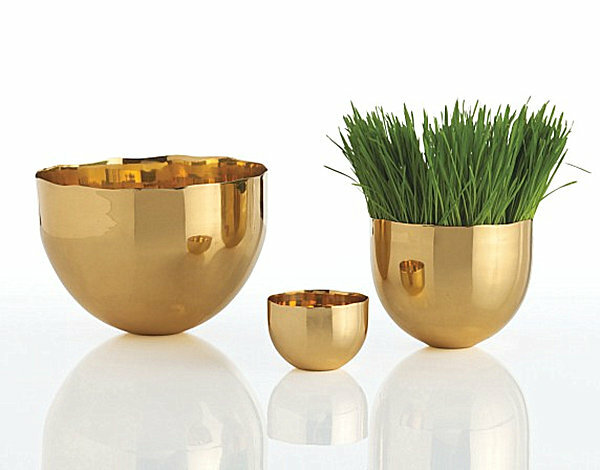 This Set of 3 Brass Bowls from Dwell Studio features polished brass that shines brightly and beautifully. 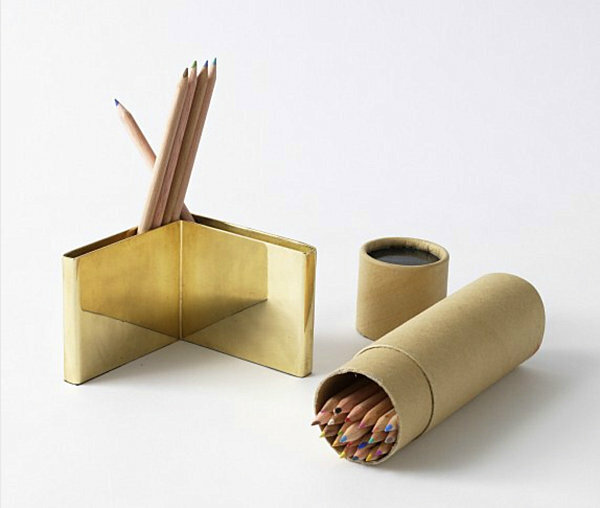 Fill the bowls or leave them empty–they’re glorious enough on their own! 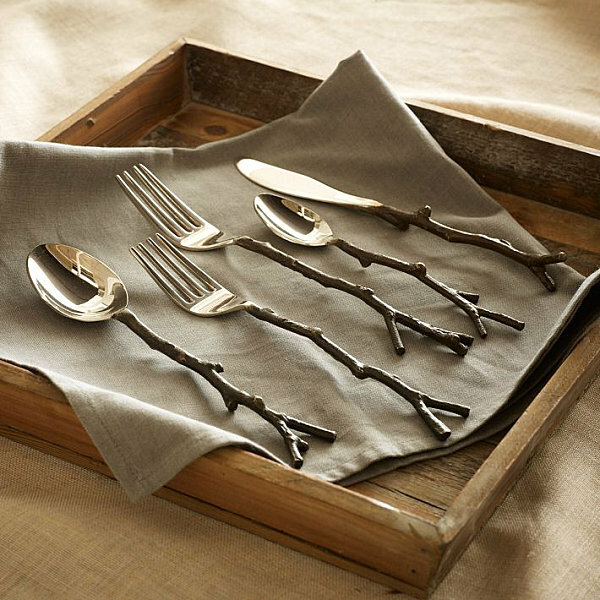 Brass is even working its way into our table settings, as shown by the Twig Flatware below. 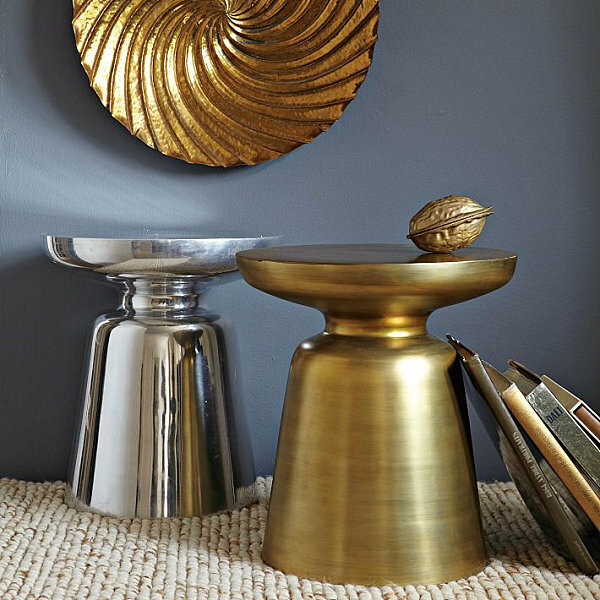 This 5-piece set from West Elm also comes in stainless steel, but we like the brass version and the way it creates an unexpected golden glow. 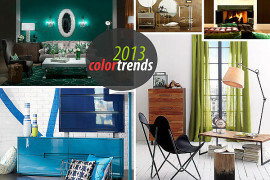 The contrast between earthy handle and gleaming top is quite striking, don’t you think? 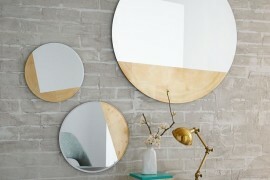 To add a warm metallic statement to your wall, check out the Bistro Antiqued Brass Mirror from Restoration Hardware. 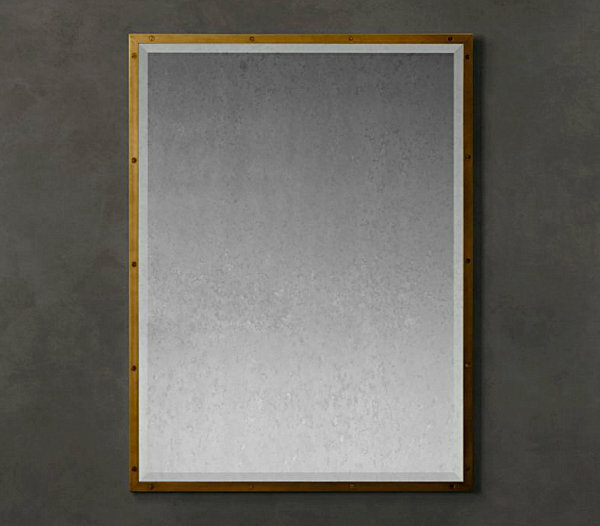 A beveled mirror is complemented by a clean-lined frame. Not to mention, exposed screws add machine-age style. 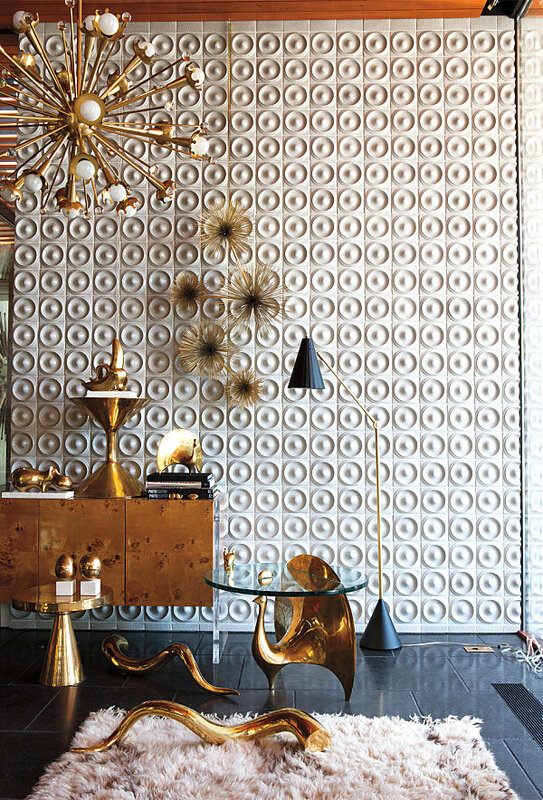 It’s industrial meets vintage flair at its finest!